Sanjiv Gupta, former chairman of the troubled hyper-local ecommerce and grocery company AskMe, incorporated as Getit Infoservices Pvt Ltd, has reached out to the controlling shareholder Malaysia’s Astro Group with an offer for management buyout for the third time in as many months. The development comes in the midst of a bitter feud the two parties have been involved in ever since Astro Group expressed its intention to exit the company last year. The letter has been reviewed by Techcircle.in. The latest request from Gupta followed the hearing at the National Company Law Tribunal (NCLT) on August 31 which directed the parties to maintain status quo and asked Astro not to exit AskMe. The letter cited above is Gupta’s third formal communication proposing a buyout of AskMe. He had first sent a letter offering a management buyout in June and sent the second letter in August. “I can arrange primary infusion of funds into Getit Infoservices Pvt Ltd within 100 days, provided the valuation is agreed. This will give Getit Group required oxygen to survive, till we identify a third party investor who can provide an exit to AENL,” he has said in the letter. Earlier, Astro had threatened to conduct a forensic audit of AskMe’s books on the premise that the ecommerce firm did not turn in any profits despite an investment of $300 million pumped in by Astro. The AskMe management team, meanwhile, accused Astro of trying to flee the country without paying the closure cost of around $76 million. A person directly aware of the development, however, told Techcircle.in that the Malaysian group has shown little interest in Gupta’s offer so far. The deep resentment between the warring investors and the management team and the fact that investors will practically get nothing after paying up debt and wages are some of the factors that may have dissuaded the Malaysian group from engaging with Gupta and his team on transfer of ownership, said the person. Gupta was not available for a comment while Astro did not respond to a detailed questionnaire sent by Techcircle.in. Gupta and other top executives, including chief marketing officer Manav Sethi, AskMe Bazar CEO Kiran Murthy and AskMe Grocery head Ankit Jain were forced to step aside as the company suspended operations in August leaving around 4000 of its workforce in the lurch. “The valuation that Gupta has offered is less than $100 million which is just sufficient for paying salaries and debt. However, the non-payment of debt and salaries will lead to legal action against Astro. Already, they are facing inquiry on Aircel-Maxis deal. In this context, their unwillingness to opt for a management buyout is inexplicable,” the person cited above added. Astro has been looking to exit AskMe but has not been able to find a suitor yet. Faced with legal troubles, Astro merged affiliate Maxi Communication-controlled telecom operator Aircel with Anil Ambani-led Reliance Communication and is exiting other smaller digital ventures, too. Astro holds 98.5% of AskMe shares through its fully-owned subsidiary Astro Entertainment Network Ltd and Gupta holds less than 1% in the venture. “Astro’s position is that the management is not able to run the company and does not want to engage with them on operational matters,” said another person close to the management. Astro did not respond to a query on steps it has taken to clear AskMe’s dues. Earlier in a statement, Astro had clarified that it had no intentions of running away from its commitments. 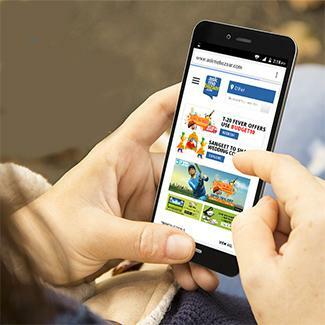 “Astro Entertainment Networks Ltd (AENL) has always been a responsible investor in Getit Infoservices over the last six years, and will continue to act responsibly and in accordance with Indian laws,” it had said.